We [Renault] made this ad to welcome the All Blacks. It and is directed to all NZ rugby fans because it is the first time the Pumas are competing in the "Personal Rugby Championship". This is our home and this is the passion, the loyalty to the team and the courage of our Pumas. 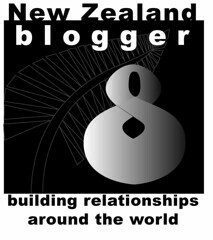 Welcome New Zealand to Argentina! 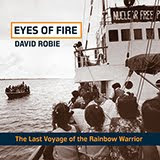 Many New Zealanders who demonstrated so strongly against the apartheid system in the 1970s and 1980s have watched with growing alarm at the direction the African National Congress (ANC) leadership has taken South Africa since the first democratic election in 1994. The events of the last week culminating in the Marikana massacre of 34 striking mineworkers with dozens injured is the inevitable outcome of the ANC choice to follow free-market economic policies which, wherever and whenever they have been employed in human history, have always transferred wealth from the poor to the rich and stripped hope from the majority. Under the ANC we have seen South Africa change seemlessly from race-based apartheid to economic apartheid. We didn’t protest here just to see a few black faces at the top table in South Africa. We didn’t turn out in our tens of thousands to face batons and barbed wire so the likes of former anti-apartheid leaders such as Cyril Ramaphosa, Tokyo Sexwale and Julius Malema could become obscenely rich off the backs of South Africa’s workers – 34 of whom were riddled with police bullets two days ago. 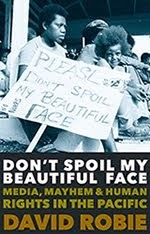 The appalling scenes played out on our TV screens are reminiscent of the darkest days of apartheid such as the Sharpeville massacre of 1960 and the murder of black school children in Soweto in June 1976. Just as we held the apartheid regime responsible for those massacres, we now hold the ANC government responsible for the massacre of striking mineworkers. You and your government have blood on their hands. This year is the 100th anniversary of the formation of the ANC – it should be a time of pride and celebration for all the people of South Africa but the betrayal of the struggle by the ANC leadership leaves most of us cold. At this time of deep sadness for those and injured and their families, and anger at the ineptitude, self-service and corruption running to the core of your government, we stand once more with the poor and oppressed people of South Africa and their struggle for freedom, hope and dignity. John Minto is a Global Justice and Peace Auckland (GPJA) spokesperson and a tireless campaigner for social justice in South Africa. He is a previous contributor to Café Pacific. 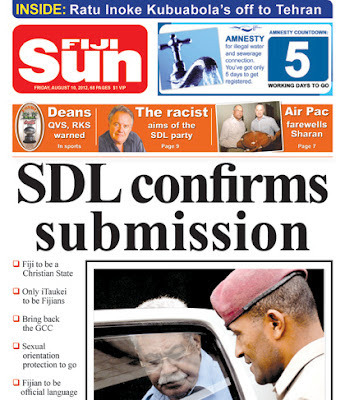 How the Fiji Sun reported the SDL submission on Friday, August 10. It’s taken five days for the main anti-regime news website, Coup Four and a Half, to report that the SDL – the party of the deposed government of Laisenia Qarase – is advocating that Fiji become a Christian state. 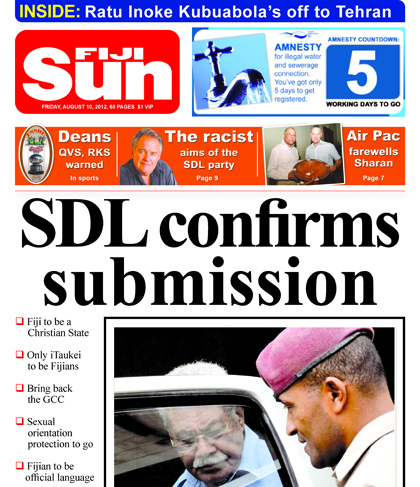 News that a delegation led by the SDL president, Solomoni Naivalu, had made a submission to this effect to the Constitutional Commission broke last Monday. Apart from the extraordinary first sentence that tries to spin the story back on its critics, the anonymous so-called journalists behind Coup 4.5 also aren’t telling the full story. They know – because Naivalu has confirmed it – that this submission and others like it are being presented by SDL constituency committees as a prelude to the main SDL submission due next month. Naivalu has described it as a summary of the main submission. In other words, all these provisions will be included in a more detailed document. But you won’t be reading this on Coup 4.5, a website with only a passing acquaintance with the truth if that truth doesn’t suit its own agenda. It’s definitely a case of selective reporting. Which proves that the so called “pro-democracy”, anti-regime elements of the international diaspora are having huge trouble coming to terms with the revelation. It’s clearly such a major embarrassment – a sudden woopsy of elephantine proportions – that they’re just hoping it will go away. Coup 4.5 is clearly struggling with what to say to its multiracial audience, which is routinely treated to contributions from Indo-Fijian anti-regime agitators like Wadan Narsey and Victor Lal. After all, the party it supports wants to make Hindus and Muslims in Fiji bow to an exclusively Christian form of government. Presumably a Methodist theocracy – given the grassroots membership of the SDL – and the equivalent of an Islamic state elsewhere. Strange too, that having run two separate reports that there was “confusion” over whether the SDL had made a submission calling for a Christian state, that Radio Australia has chosen not to report Naivalu’s confirmation. Another case of selective reporting from the Australian public broadcaster? The Pumas led 16-12 at halftime and scored two tries to one. 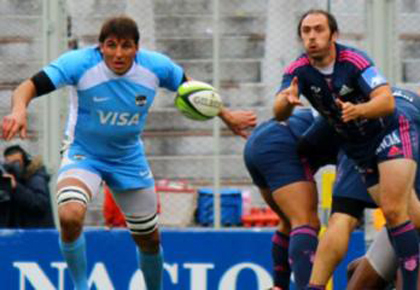 The game marked the return of Juan Martin Hernandez as the Pumas flyhalf, who kicked three penalties and converted a try by Horacio Agulla in the first half. Stade scrumhalf Julian Dupuy, who played in a French victory over the All Blacks in Dunedin in 2009, replied with four penalties. Juan Imhoff added another try for the Pumas in the second half. But a converted Stade try by Laurent Sempere signalled a brilliant fightback 10 minutes from the end of the game. Two penalties by Jérémy Sinzelle sealed the win. Veteran Pumas pivot Felipe Contepomi played at flyhalf for Stade Francais. The Pumas play Stade Français again next weekend before playing South Africa at Newlands in Capetown on August 18. Stade finished seventh in the French Top 14 last season. In June, France beat the Pumas 49-10 in the second test in Les Bleus' first victory in Argentina for more than a decade. POSTSCRIPT: The Pumas followed up with a 31-17 (14-7) victory over Stade Français the following weekend and now face the Springboks in their first championship match at Newlands next Saturday.